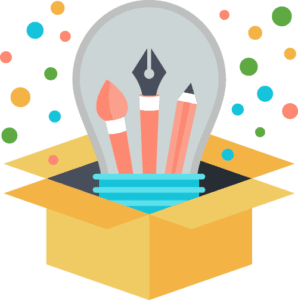 Webwalrus - Web design made easy! Christmas is the ideal time to step up your email marketing strategy as customers will be on the look-out for gift ideas and special offers. Plus, you can use email marketing as an opportunity to let your Essex customers know relevant information, such as opening hours, delivery times, and when your customer service lines will be manned over the festive period. Before you start your email campaign, think about the type of customer you want to attract and consider: what’s in it for them this season? The chances are they’ll want value for money, discounts, gift ideas and be the first in-line to buy new products. Email marketing during the holiday period can boost sales and put you ahead of the competition as subscribers will be on the hunt for good deals. You can capture customers’ attention by giving each of your subject lines a festive slant. Examples are: ‘Top Ten Xmas Gift Ideas’, ‘Ten Traffic Shopping Festive Outfits, or ‘Five Ways to Sparkle at Your Work-Party’, with links to relevant products on your website. A time-limit in your subject line will prompt your customers to buy now, rather than wait until later the following year. ‘50% off [add product here] from now until Christmas Eve’, is one way to draw your customers in. As is: ‘Xmas Gifts So Popular They’re Flying off Our Shelves’, ‘Secret Santa Gift Ideas – Get them Now’, or ‘Countdown begins – Bumper Christmas Sale Starts in Four Hours’. Discounts on seasonal goods for a limited time will encourage your customers to open their wallets. Feel free to unleash your creativity in your Christmas email marketing campaign. With the party season upon us, have fun with your subject lines and don’t be afraid to use humour. A witty subject line will encourage people to open their email. Think about using a play on words, such as: ‘Yule adore…’, or use this opportunity to reward subscribers who introduce a new customer. An example of this is: ‘Up to 20% Bonus – 5 Ways to Give and Receive this Xmas’. 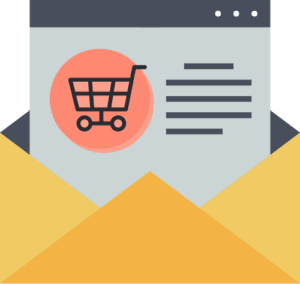 If you are looking to boost your sales with an email marketing campaign in the Essex region, contact the experts at Colchester-based Webwalrus today! 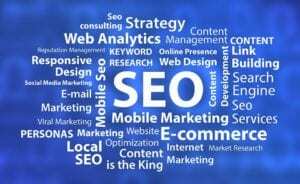 How did Search Engine Optimisation Come About? Not so long ago if you wanted to find information you would flick through a dictionary, encyclopaedia, book, look through the Yellow Pages, or simply ask an expert. Fast-forward to 2018 and the chances are you will “Google it” to find an answer. “Google it” means to search for information on the internet, regardless of which search engine you use; it is a phrase that has slotted into day-to-day conversation with ease. A world without search engines – such as Google, Bing, Yahoo, and others – now seems like a distant memory. A search engine is rather like a global library and is a term used to describe a host of information accessible to people via the internet, such as pictures, charts, websites, and documents. While search engines have been around since the 1990’s, it was not until 1997 that the term ‘Search Engine Optimisation’ (SEO), came into widespread use. Danny Sullivan, an American journalist and co-founder of the publication Search Engine Land, is attributed to popularising the term. Website owners paid attention as they realised the importance of SEO for their own sites. Put simply, SEO is a way of increasing traffic (visitors) to a website. If a company ranks highly in the search engines for a particular search term, the more trustworthy and relevant it appears to be. The more visible a site is in the search engines, the more visitors it is likely to attract. This, in turn, puts a company in the best possible position to convert these visits into sales. In short, a well ranked website pits small companies against the main players and can help a business grow, especially when combined with other factors that enhance a company’s reputation, such as quality of goods and services, great reviews and a professionally designed website. When you look for something on the web, you type in a set of keywords. These keywords are identified through web-crawling, and indexing puts these results in order in the shortest amount of time. While there are several different aspects to SEO, a significant part of it is tweaking or re-writing content so it ranks higher in the listings for certain keywords. SEO is a cost-effective form of marketing, relevant to all types of businesses, and can achieve an excellent success rate over time. To find out more about search engine optimisation, Essex, and what we can do for you, click on the link above. More than 75% of people in the UK use a Smartphone, demonstrating just how essential our handheld devices have become. 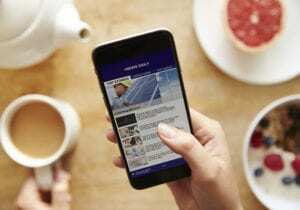 Browsing on the small screen, and on the move, is on the rise as figures released by Ofcom in 2014 show mobile web browsing now exceeds laptop and desktop use. Android or iOS (iPhone operating system) mobile apps allow for greater customer interaction with businesses or organisations; For example, people can scan items from a magazine and take them to the checkout with the Net-a-Porter App, order coffee with the Starbucks App, go online shopping with the Amazon App, link up to social media with the Facebook App, and do a yoga workout with a fitness app. Even on a small scale an appealing, easy-to-use app – that you can download via the Apple App Store or Google Play Store – will give you an edge over the competition as it can enhance your business profile and lead to increased sales. Developing apps can be a daunting and expensive process; however, it doesn’t have to be. To make it easy for you, you can use your website as a basis for an app. Webwalrus can show you how to port your existing website over into an app, and add more dedicated app content or features. These additional features could be anything from Geolocation, to show your closest stores, uploading photos taken on your smartphone, or assisting with services, support calls or live chat. For example, an app can enable the user to find out more about a product or service, get familiar with an exchange policy, or take photographs to obtain a quote for home improvements or repairs. Homescreen push notifications from your installed app are an excellent marketing tool. They work a bit like an SMS and alert customers who have downloaded the app to anything from sports scores to new products. As they are targeted only to interested parties – those who have downloaded the app – they have an average open rate of 90%, which gives push notifications the edge over email marketing and Adwords. All the more reason to consider an app to enhance your businesses’ online marketing! If you are looking to create a competitively-priced mobile app for your business, contact the team at Webwalrus. Looking to set up an online shop, or take bookings for your services? Websites that look great, whatever design you view them on. Webwalrus have been making websites for local businesses in the Colchester area since 2015. Why not say hello and see what all the fuss is about?